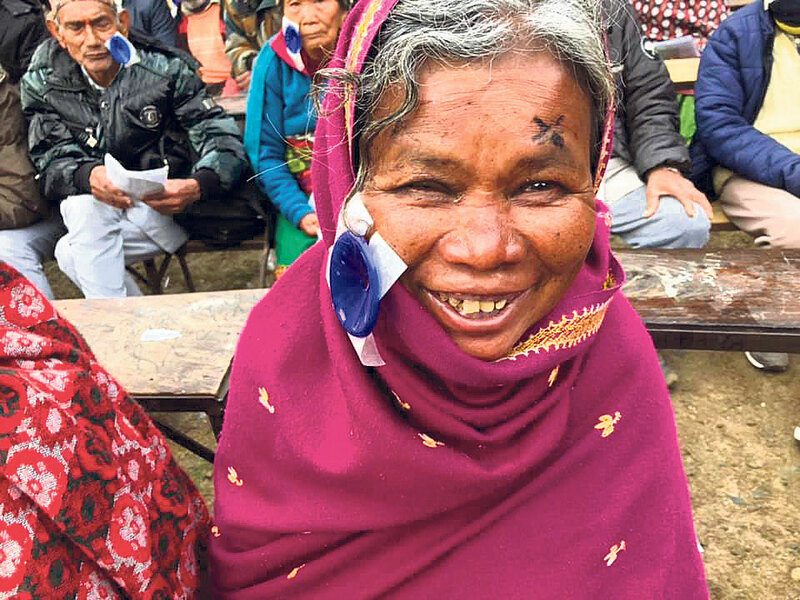 An elderly woman is all smiles after undergoing a succesful eye surgery at the camp. NUWAKOT, Feb 17: Lal Bahadur Tamang, 80, of Shivapuri Rural Municipality-5 in Nuwakot district lost his eyesight a year ago. He is elated to have his eyesight back after a year of harrowing tale. “I thought I would die blind. I had never imagined that I would get to see the world again,” said Tamang. A recent eye treatment camp proved him wrong. Tamang is one of the many beneficiaries of camp organized jointly by Tilganga Eye Institute, Bidur-based District Community Eye Center and the district chapter of Nepal Red Cross Society. The camp was organized on February 13, 14 and 15 at Tupche-based Chandeswari High School. During the camp, the organizers had shortlisted patients from all local units of the district to undergo eye surgery. Among the 321 shortlisted people, 16 visually impaired persons underwent cataract surgery while other nine had normal eye surgery, informed Shankar Adhikari, in-charge of the Bidur-based eye center. 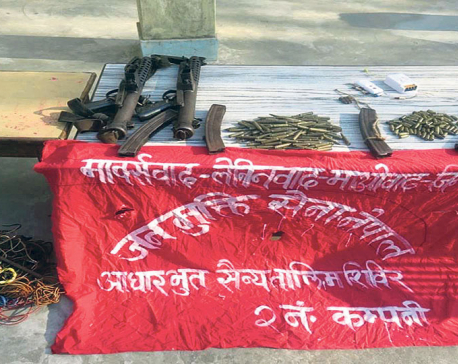 “We have been running such camps every year. As much as the beneficiaries are happy to regain their lost eyesight, we derive equal satisfaction from our work for being able to help them,” said Adhikari. He further said that the campaign conducted eye check-up of over 2,000 people. “Our camp will continue. We have good support from the local governments and organizations,” Adhikari added.